Maximum, four layer protection guards against static charges inside and out for total “Faraday Cage” protection. Polyester outer layer features a semi-conductive, static shielding coating. Non-shedding metallic middle layer provides an electrical transference barrier. 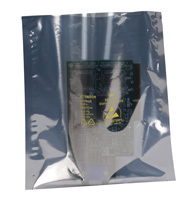 Thick anti-static, polyethylene inner layer suppresses static inside the bag while resisting punctures and tears. 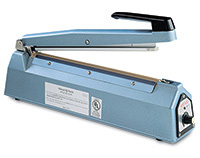 (Folding, stapling, or puncturing will eliminate all anti-static properties of the bags.) Preprinted with Electrostatic Sensitive Devices (ESD) message hot stamped in yellow.